March 19, 2019 Mini-Circuits is Proud to be a Platinum Sponsor of WAMICON 2019 Mini-Circuits is proud to be a Platinum Sponsor of the 20th annual IEEE Wireless and Microwave Technology Conference (WAMICON), Hilton Cocoa Beach Oceanfront, Cocoa Beach, FL, April 8-9. Look for our exhibit at booth #5! February 1, 2019 Mini-Circuits Names Spectrum Sales as Representative in NY, Northern NJ and Southern CT Mini-Circuits is pleased to welcome Spectrum Sales to our trusted team of authorized sales representatives. Spectrum Sales will provide superior service and technical support to Mini-Circuits customers in New York, northern New Jersey and southern Connecticut. December 27, 2018 Mini-Circuits Partners with Virginia Diodes to Introduce Waveguide Bandpass Filters Mini-Circuits is pleased to announce our partnership with Virginia Diodes to introduce a new line of waveguide bandpass filters supporting millimeter wave applications up to 86 GHz. December 3, 2018 Collins Aerospace Awards Mini-Circuits Platinum Premier Supplier Status Collins Aerospace (NYSE: UTX) has recognized Mini-Circuits as a Platinum Premier supplier for the 2018 year end evaluation period. September 19, 2018 Mini-Circuits Celebrates 50th Anniversary of Founding Today in 1968, Harvey Kaylie incorporated Mini-Circuits in the kitchen of his Brooklyn apartment. 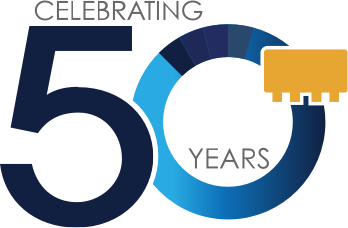 50 years later, the company has become a global leader and premiere name in the RF/microwave industry. We thank all our customers, team members, industry partners, and friends for being part of our history. July 17, 2018 Mini-Circuits and Vayyar Team up to Offer Educational Project Kits for RF Engineers Mini-Circuits is pleased to announce a new partnership with 3D imaging sensor company, Vayyar Imaging, to offer project kits for students and university programs with a focus on electromagnetic theory and RF/microwave engineering. July 05, 2018 Summer Savings on Class-A 100W Amplifiers, 50 to 250 MHz Take advantage of promotional pricing on power amplifier model ZHL-100W-251+ with savings of over 40% while supplies last. The amplifier provides 100W output power at saturation with 46 dB gain and ±0.7 dB flatness from 50 to 250 MHz, ideal for FM, VHF, and aircraft communication systems. June 25, 2018 New Coaxial Amplifiers Feature Multi-Octave Bandwidths Spanning 600 to 4200 MHz Mini-Circuits has introduced three new broadband connectorized amplifiers with multi-octave bandwidths as wide as 600 MHz to 4200 MHz, supporting a wide range of applications, including the recently opened telecom Band 71 (617 to 698 MHz). The new amplifiers feature high gain with excellent flatness, medium to high output power, and very high IP3. June 19, 2018 Mini-Circuits to Exhibit at the 2018 IEEE International Symposium on Antennas and Propagation and USNC-URSI Radio Science Meeting Join Mini-Circuits at the 2018 IEEE International Symposium on Antennas and Propagation and USNC-URSI Radio Science Meeting, July 10 – 12, 2018 in Boston, MA. Visit us at Booth #34 and check out our latest products up to 65 GHz and new university project kits! June 6, 2018 Mini-Circuits Mourns the Passing of Founder, Harvey Kaylie RF/microwave industry pioneer and Mini-Circuits Founder and CEO, Harvey Kaylie passed away peacefully on the morning of May 30th, 2018. His memory will inspire all whose lives he enriched to carry forward his passion, his values, and his vision for the future of the company and the greater good in the world. April 17, 2018 Mini-Circuits Expands Product Line Coverage up to 65 GHzTo give you more options and more capabilities for high-frequency applications, Mini-Circuits continues to expand our product line into the millimeter wave bands with a growing variety of RF products now extending up to 65 GHz! April 2, 2018 Mini-Circuits Names Pipe-Thompson Technologies as Representative in Eastern CanadaMini-Circuits is pleased to welcome Pipe-Thompson Technologies to our trusted team of authorized sales representatives. Pipe-Thompson will provide superior service and technical support to Mini-Circuits customers in Eastern Canada. March 28, 2018 Mini-Circuits to Sponsor IEEE Long Island RF/Microwave Symposium & ExhibitsMini-Circuits will be exhibiting at the IEEE Long Island RF/Microwave Symposium on April 5th in Hauppage, NY. The event is free for attendees who register in advance. Come see us at Table #22! March 22, 2018 Mini-Circuits to Sponsor Brooklyn Cyclones for 2018 SeasonMini-Circuits is proud to sponsor the Brooklyn Cyclones New York – Penn League baseball team for the 18th consecutive season as part of our ongoing commitment to community involvement. March 7, 2018 Rockwell Collins Names Mini-Circuits as Top Supplier for 2018Rockwell Collins has recognized Mini-Circuits as its 2018 President's Award winner and as 2018 Supplier of the Year for Electronic Components. March 5, 2018 Mini-Circuits to Exhibit at SATELLITE 2018Join Mini-Circuits at the largest satellite technology event of the year, March 12 – 15, 2018 at the Walter E. Washington Convention Center in Washington, D.C. Visit us at Booth 1335 and check out our latest products and technologies for SatCom applications! August 7, 2017 Mini-Circuits Components Now Available in Modular Drop-In Format from X-MicrowavePartnership between Mini-Circuits and X-Microwave gives designers new capability to accelerate design cycles from concept to prototype to production stage with free online simulation tools and modular, drop-in building blocks for a wide selection of Mini-Circuits parts. May 9, 2017 Mini-Circuits Receives 4-Star Supplier Excellence Award from Raytheon IDS Raytheon Integrated Defense Systems (NYSE: RTN) has presented Mini-Circuits with its 4-Star Supplier Award for the seventh consecutive year. April 24, 2017 Mini-Circuits Expands Product Line Coverage with New Series of 50 GHz Precision Attenuators Mini-Circuits is committed to meeting our customers’ needs as the evolution of wireless standards continues to push application requirements to higher frequencies. Our new BW-V series of precision fixed attenuators expands the coverage of our product line up to 50 GHz! April 18, 2017 Mini-Circuits Extends Same-Day Shipping Cutoff to 3:00 PM ET As part of our ongoing commitment to support customers with fast delivery, Mini-Circuits has extended our cutoff time for same-day shipment from 1:00 PM to 3:00 PM ET. April 07, 2017 Mini-Circuits Achieves AS9100 Recertification to Revision D Standard Following an extensive recertification audit of our Quality Management System, Mini-Circuits' AS9100 certification has been upgraded to Revision D of the standard. March 06, 2017 New Mini-Circuits Website Design Enhances Usability, Accessibility, and Convenience The fourth major redesign of minicircuits.com since it launched in 1995 provides customers and visitors with a new level of usability, accessibility, and convenience. The site upgrade is part of Mini-Circuits' ongoing commitment to customer satisfaction. Jan. 12, 2017 New Reflectionless High Pass Filters Provide Passbands to 30 GHz in 2x2mm QFN Packages Mini-Circuits' revolutionary XHF2-series of reflectionless high pass filters eliminates signal reflections and enables dramatic improvements in system performance. Covering a variety of passbands up to 30 GHz, these new, patented designs are perfect for pairing with sensitive devices such as mixers, multipliers, high-gain amplifiers and more! Dec. 07, 2016 Extra-Long Life Absorptive Electromechanical SP4T Switches, +12VDC, DC to 18 GHz Mini-Circuits has added two new models to our popular line of absorptive electromechanical switches, controlled by a +12VDC with 0.2 dB insertion loss, 90 dB isolation, and extra-long switch life up to 10 million cycles. Dec. 05, 2016 Mini-Circuits Achieves Total Defect Rate Less than 3 DPPM for 3Q 2016 Mini-Circuits is proud to announce that we have achieved a defect rate of less than 3 DPPM over millions of units shipped in the third quarter of 2016. Nov. 11, 2016 Mini-Circuits Expands Selection of LTCC Bandpass Filters Mini-Circuits has expanded our selection of low-temperature co-fired ceramic (LTCC) bandpass filters with 4 new models in tiny 1206 packages with high reliability and excellent repeatability. Nov. 10, 2016 Connectorized 2-Way 0° Splitter/Combiner Handles up to 35W, 500 to 10500 MHz Mini-Circuits' ZN2PD2-14W+ SMA connectorized 2-way 0° splitter/combiner provides power handling up to 35W as a splitter (1W as a combiner) for a wide range of applications from 500 to 10500 MHz. Oct. 17, 2016 Surface Mount Voltage Variable Attenuator Provides >30 dB Attenuation Range from 2000 to 6000 MHz Mini-Circuits' RVA-6000+ surface mount voltage variable attenuator provides a control voltage range from 0 to 12V with attenuation from 4 up to 37 dB with minimal phase deviation over its full attenuation range. It supports a wide range of applications from 2 to 6 GHz with 20 dB typical return loss and no external matching network required. Oct. 14, 2016 Rugged 100W Power Amplifier Module, 700 to 2700 MHz Mini-Circuits' ZHL-100W-272+ high-power amplifier module provides 48 dB gain with 1.7 dB flatness across its entire operating bandwidth, +50 dBm IP3, and 89 dB reverse isolation. The amplifier features extensive built-in safety features and is ideal for a wide variety of high power test applications including EMI, reliability testing, RF stress testing and more! Oct. 12, 2016 New Surface Mount Bias Tee Expands Frequency Coverage from 10 MHz to 12 GHz Mini-Circuits' TCBT-123+ surface mount bias tee expands the coverage of our bias tee line, providing a frequency range from 10 MHz to 12 GHz in a single, tiny device. This model is perfect for a wide range of biasing applications including biasing of amplifiers, active antennas and more! Oct. 10, 2016 Mini-Circuits Expands Selection of Coaxial Precision Attenuators from DC to 40 GHz Mini-Circuits has expanded our BW-K series of 40 GHz precision fixed attenuators with four new models to give you a wider selection of attenuation values. The series now offers attenuation values of 1, 2, 3, 4, 5, 6, 10 and 20 dB, all with 2W power handling, excellent VSWR, and outstanding attenuation flatness. Oct. 05, 2016 4-Channel USB/Ethernet Programmable Attenuator, 0 to 95 dB, 1 to 6000 MHz Mini-Circuits' New RC4DAT-6G-95 USB/Ethernet controlled programmable attenuator provides four channels in one compact device with synchronized or independent control from a single interface. This model provides added capability and convenience for a wide range of multi-channel test applications such MIMO testing, handover system evaluation and more! Aug. 25, 2016 Free Webinar: Specifying Flexible Building Blocks for Automated Production Test Systems Wednesday, September 7th, 11:00 AM EST on microwavejournal.com Presented by Lee Whiting, Applications Manager, Mini-Circuits. Aug. 15, 2016 Mini-Circuits is Proud to Sponsor the University of South Florida's WAMI Center for the 19th Consecutive Year Annual needs-based donation of components and hardware supports student projects and faculty research. Mini-Circuits is deeply committed to supporting academic institutions in cultivating the next generation of intellectual talent in the fields of electronics and electrical engineering. June 08, 2016 Mini-Circuits Receives 4-Star Supplier Excellence Award from Raytheon IDS Raytheon Integrated Defense Systems (NYSE: RTN) has presented Mini-Circuits with its 4-Star Supplier Award for the sixth consecutive year. May 2016 Rockwell Collins, May 2016, Mini-Circuits Platinum Premier. August 7, 2017 Mini-Circuits Components Now Available in Modular Drop-In Format from X-Microwave Partnership between Mini-Circuits and X-Microwave gives designers new capability to accelerate design cycles from concept to prototype to production stage with free online simulation tools and modular, drop-in building blocks for a wide selection of Mini-Circuits parts.